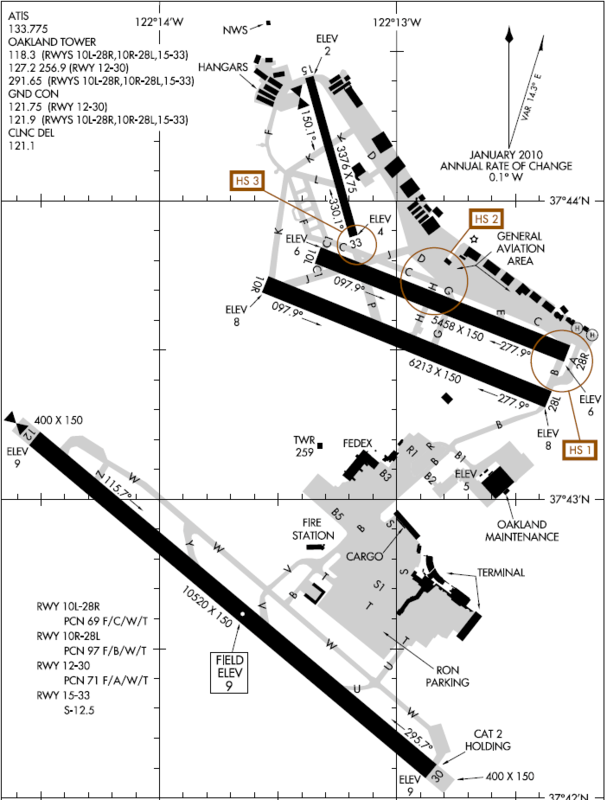 Are there any 2 (or more) airports that are ground-connected so that e.g. aircraft can taxi between them? Would that be even possible from a definition point of view, having a common area with two airports? I thought of airport being a facility with an ICAO identifier, but maybe a different definition suits better here? I could imagine e.g. having an international one and a GA / regional airport being so close together that they were connected at some point. Does anything like that exist? Update: I'm also curious about airports that are not directly connected in a physical way but e.g. in an operational way: an airside bus takes passengers from the gate in a terminal in airport A and brings them to their flight in airport B or other situations like that. There are numerous joint use (commercial/military) airports with separate terminals/ramp areas. There aren't many where there are two connected fields. The only one I'm aware of is Naval Air Station Whiting Field near Milton FL that has two operational fields with separate identifiers. The two fields have a central support base area between the two fields. There is a single taxiway that connects the two fields around the east side of the support area. I think Chitose and New Chitose on Japan's Hokkaido island fit the criteria. One is an air base (Chitose) with ICAO code RJCJ, while the other is the island's primary civilian airport (New Chitose) with ICAO code RJCC. They have separate runways, but they're jointly operated and linked by taxiways. It's quite cool watching the air base's jets while you're waiting for your flight. The airports in Berlin share runways. Strictly speaking, one of them (BER) isn't really operational... But it will be. Soon. For sure... Hey, look over there: a monkey with two heads!! Oakland International Airport (IATA: OAK, ICAO: KOAK, FAA LID: OAK) is an international airport in Oakland, California, United States. Oakland International Airport covers 2,600 acres (1,100 ha) and has four runways. OAK has in essence, two independent operations running as one complex. Commercial flights and cargo operations operate primarily out of the South field complex and general aviation, charters, flying clubs, and FBOs operating out of the North Field. 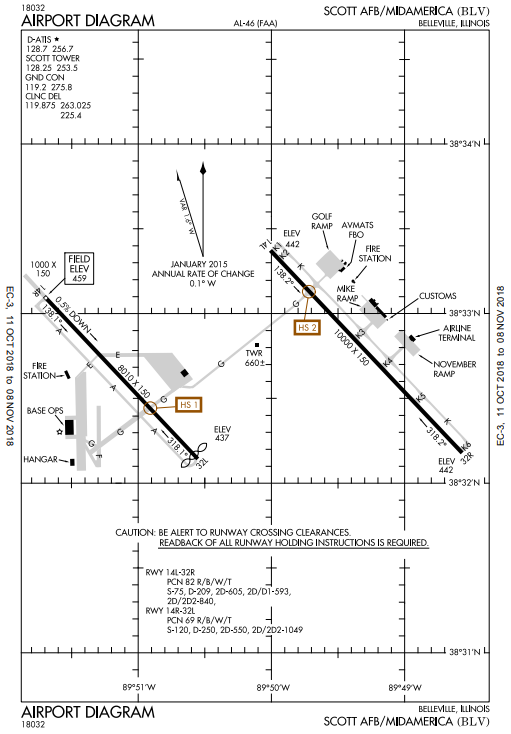 There is a connecting taxiway that will take you from the middle of 12/30 to 28L, over the Ron Cowan Parkway, but my experience is that no commercial flights use the North Field. This is a historical example, and doesn't quite fit your definition of "airports," but it may be of interest that during World War II, the US and Canada built makeshift runways on opposite sides of their shared border, or perhaps a single runway across the border, only half of which was used at a time. The purpose was so that US-built airplanes could be delivered to Canada while remaining compliant with US neutrality laws. Planes piloted by American pilots would land on the US side, be towed to the Canadian side by civilians, and then take off again under the command of Canadian pilots. See the Canadian Aviation Historical Society for details. Taiwan's Taoyuan International Airport (RCTP) is connected by a taxiway to Taoyuan Air Base (RCGM) just southeast of it. One strange case of airports connected in an operational but non-physical way: Allentown (Lehigh Valley International)—ABE, Pennsylvania, USA and Newark—EWR, New Jersey. United Airlines connects these two airports by bus (they're about 80 miles apart). Passengers booked on these "flights" can go to the Allentown airport, check in, board a bus, and be taken to Newark for their connection (they'll go through TSA security at Newark, but their checked bags will be transferred, so there's no need to go to the bag drop/ticket counter). From Newark, they board the bus from inside the secure area of the airport terminal, just as if it's a plane, with luggage transferred for you (they don't drop you inside the secure area at Allentown though, it's not a true airside-to-airside service). Passengers even earn frequent flyer miles for the bus ride. Regarding "airports that are not directly connected in a physical way but e.g. in an operational way": the two main Paris airports (Charles de Gaulle Airport/CDG/LFPG and Orly Airport/ORY/LFPO) have a bus shuttle to transfer people between both airports. This is done because domestic flights are served via Orly while international flights are served via CDG. So if you were to fly from Berlin via Paris to Martinique (french overseas territory), you would arrive in CDG, take the bus to Orly, and take the plane to Martinique. 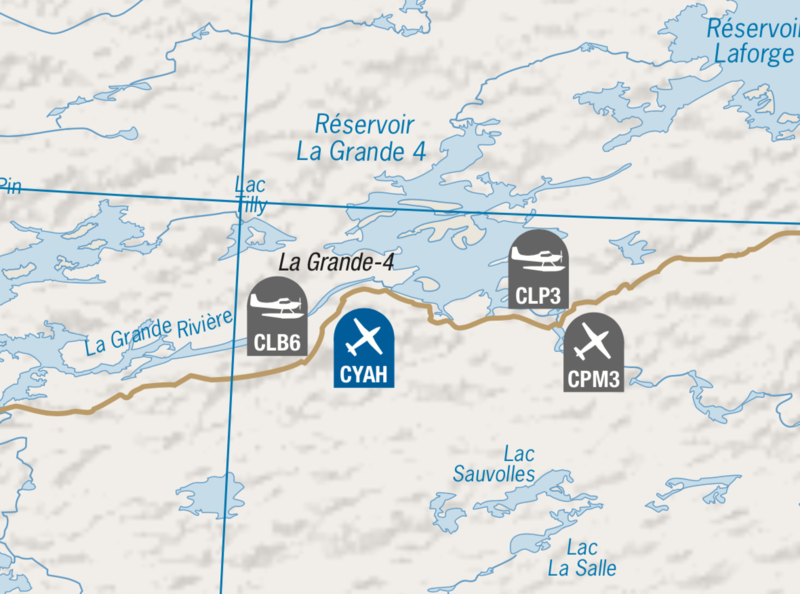 The airports are several kilometers apart, though. Also, the buses depart outside of the airport, rather than at the gate. 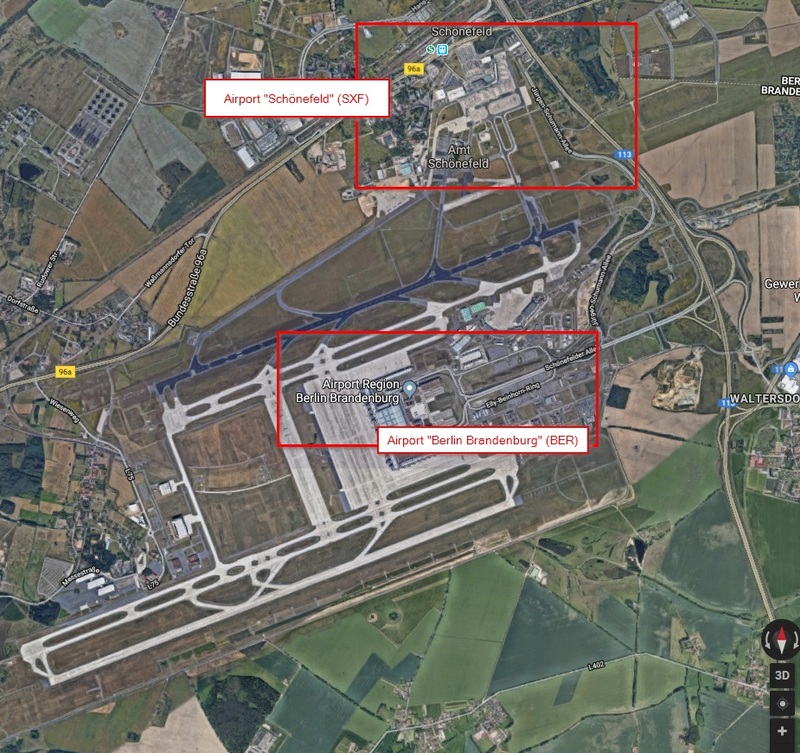 A former example is Rhein-Main Air Base (ex-FRF) and Frankfurt Airport (FRA). The main runways are roughly east-west, with the airport to the north and the former air base to the south. The base closed in 2005 and the site is now the FRA cargo terminal, with a third passenger terminal being built there, too. Anchorage’s Ted Stevens International PANC ANC is connected by a taxiway to Lake Hood Seaplane Base PALH LHD. Lake Hood also has a gravel landing strip which is not part of ANC. If you are willing to include sailplane and rivers as taxiway. In Germany, in Schwäbisch Hall there are two airports: "Schwäbisch Hall-Weckrieden" and "Adolf Würth Airport Schwäbisch Hall" (EDTX and EDTY) that are directly connected with one taxiway that even crosses a public road that has to be closed if someone actually wanted to taxi from one to the other airport. I've landed there and walked from one airport to the other to get a cup of coffee, watched the sky divers depart on the northern airport and then walked back to the southern airport. So yes, that exists! Scott AFB/Mid-America Airport (BLV/KBLV) fits this criteria. The west half is a US Air Force base and the east runway and ramp are a civilian/commercial airport. Notice how long that lone taxiway is that connects the two. Are there any airports which use a metro to transport cargo?